Gerhard Vogt was born on 29 November 1911 at Raudten near Lüben in Niederschlesien. Vogt joined JG 26 based on the Channel front on 16 September 1941 following completion of his flying training. Obergefreiter Vogt was assigned to 6./JG 26. He recorded his first victory when he shot down a RAF Spitfire fighter over Calais on 6 November 1941. On 24 March 1942, Unteroffizier Vogt was wounded in combat with Spitfires. He force-landed at Abbeville in his Fw 190A-1 (W.Nr. 013) “Brown 13”. By the end of 1942, Vogt had accumulated 11 victories. On 2 February 1943, Vogt was shot down, again by Spitfires, over St Omer. His Bf 109G-4 (W.Nr. 161 29) “Brown 10” dived vertically but he managed to bale out, albeit with severe wounds to his shoulder and foot. He was to be hospitalised for four months at Arras. Feldwebel Vogt was back in action on 22 June 1943, when he shot down a USAAF B-17 four-engined bomber straggler into the Channel off Dunkirk for his 12th victory. Vogt’s Fw 190A-5 (W.Nr. 410 006) “Brown 13” was hit by return fire from the B-17 he was attacking on 30 July. He attempted to ram his target then baled out with serious injuries. He crash-landed his damaged Fw 190A-4 (W.Nr. 2456) “Brown 11” at Romilly-sur-Seine after being hit by return fire from the B-17s he was attacking on 3 September. He was slightly injured in the incident. On 4 September, Vogt shot down a Spitfire near Le Tréport for his 14th victory. It transpired that his victim was Australian ace Flt Lt FAO “Tony” Gaze (12.5 confirmed, 4 probable and 5 damaged victories) of 66 Sqn, RAF, who evaded and later returned to combat duty. By November, Vogt was serving with 7./JG 26. Vogt was ordered to scramble with 7./JG 26 after three Spitfires flying in line abreast over the fighter airfields at Valenciennes, Douai, Vitry and Epinoy on 28 January 1944. The Spitfires were engaged and two were badly damaged but managed to make it back to England. The third, the leader, was chased by Vogt and shot down as he climbed for the protection of the cloud cover. The enemy pilot baled out but became caught up on his aircraft’s tail. He was to die in hospital several hours later. It transpired that Vogt had shot down another prominent Allied fighter pilot. P/O Claude Weaver (12.5 confirmed and 3 probable victories) of 403 Sqn, RAF was an American flying with the RAF.  Oberfeldwebel Vogt was awarded the Deutsches Kreuz in Gold on 5 May for 26 victories. On 15 June 1944, Leutnant Vogt assumed command of 7./JG 26 when Oberleutnant Waldemar Radener (37 victories, RK) was seriously wounded in aerial combat. On 5 July, Vogt was injured when his Fw 190 A-8 (W.Nr. 170 661) “Brown 13” hit power lines as he was attempting a crash-landing between Buré and Mele sur Sarthe following combat with Spitfires. Vogt was appointed Staffelkapitän of 5./JG 26 on 14 August 1944, replacing Hauptmann Walter Matoni (34 victories, RK) who was taking up the position of Gruppenkommandeur of I./JG 11. He achieved his 40th victory on 21 September, over Nijmegen when JG 26 intercepted paratroop-carrying C-47s heading for Arnhem. Vogt was shot down again on 28 October, following aerial combat with RAF Typhoon fighters near Venlo. He received minor injuries when he crash-landed his Fw 190A-8 (W.Nr. 175 130) “White 13”. Vogt was awarded the Ritterkreuz on 25 November for 46 victories. Oberleutnant Vogt led 5./JG 26 during Operation Bodenplatte, the attack on the Allied airfields in The Netherlands and Belgium on 1 January 1945. On 14 January 1945, JG 26 was ordered to engage Allied fighter-bombers harassing German ground troops in the Ardennes region. In transit to their assigned patrol zone 5./JG 26 was engaged by USAAF fighters. Vogt was shot down and killed in the ensuing combat crashing with his Fw 190 D-9 (W.Nr. 210 176) “White 13” near Köln. 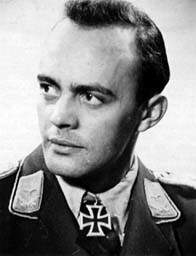 Gerhard Vogt was credited with 48 victories in 174 missions. All his victories were recorded over the Western front and included eight four-engined bombers.